Happy March! 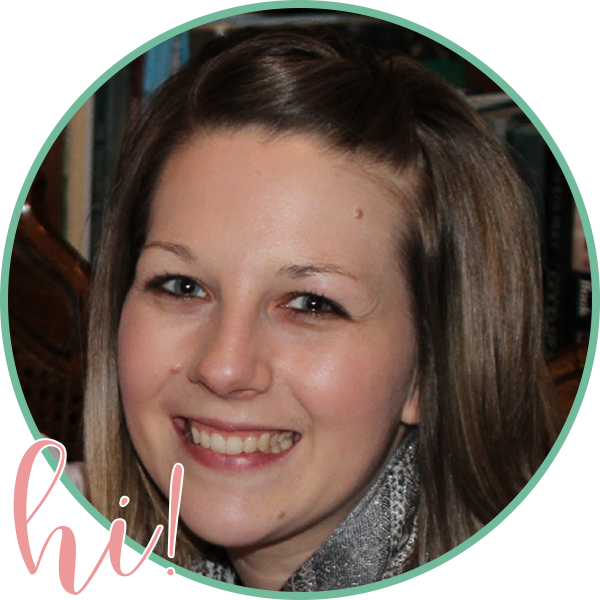 Today, I'm sharing a freebie that I think you'll love! "Where's the Gold?" 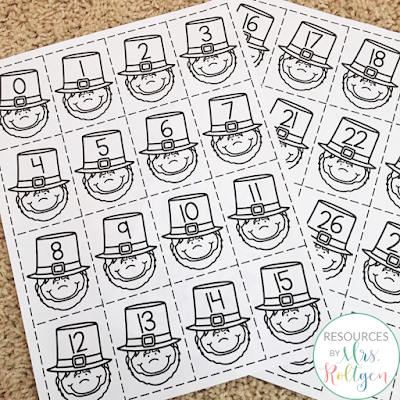 is both a whole-group activity and a partner or small group activity that reinforces number recognition for numbers 0-30. For the whole-group activity, you will need to print the 0-30 color leprechaun cards and pot of gold card on cardstock. Cut them out and laminate them for durability. 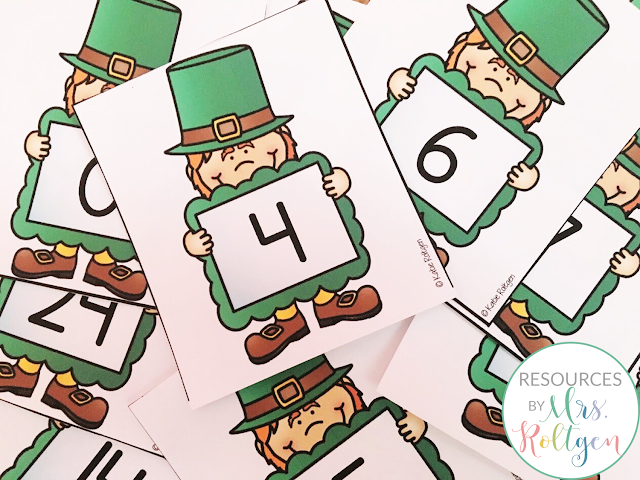 To do the activity, place the cards in a pocket chart either in numerical order or random order. I recommend numerical order, but it's up to you! 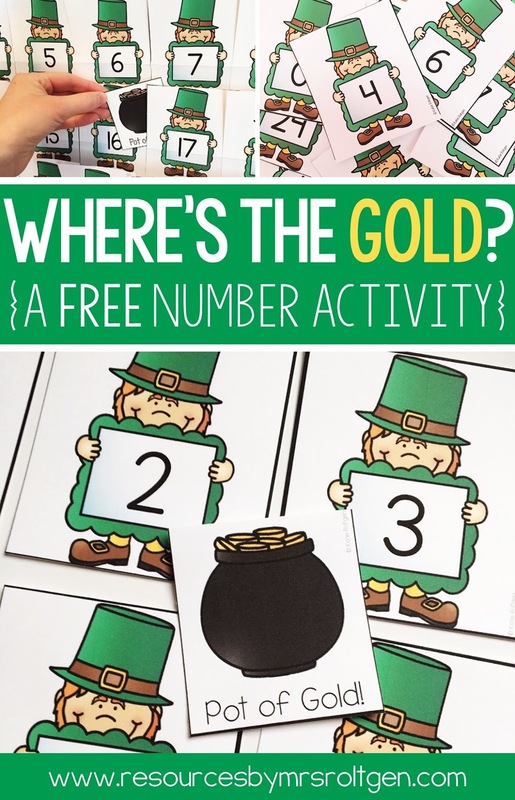 Then, have your students cover their eyes while you hide the pot of gold card behind one of the numbers. 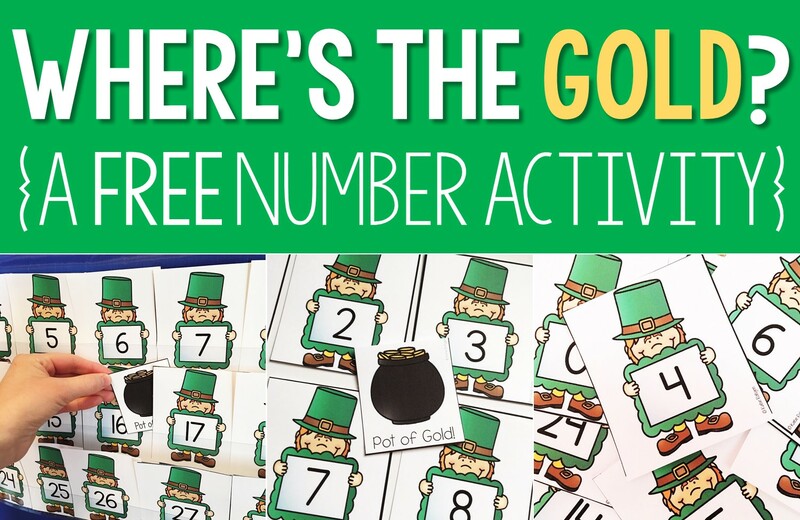 Call on students one at a time to guess which leprechaun/number the pot of gold is hiding behind. The student who guesses correctly can hide the pot of gold for the next round! After you've done the activity as a whole group, you can have students work with a partner or in a small group to do the activity together. I included smaller, black and white game cards. 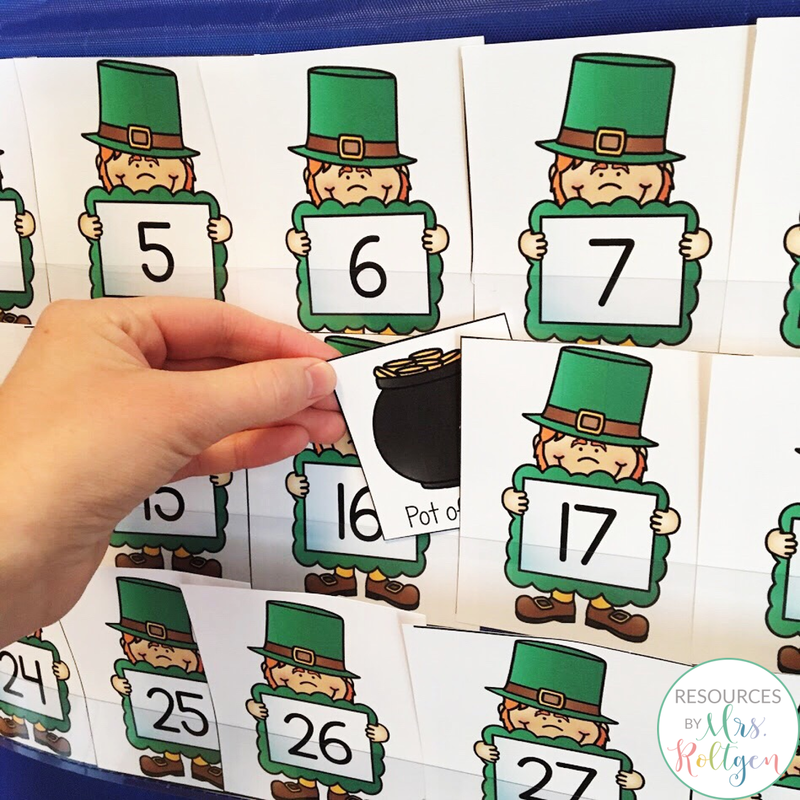 If using partners, each student can cut out one page of cards. 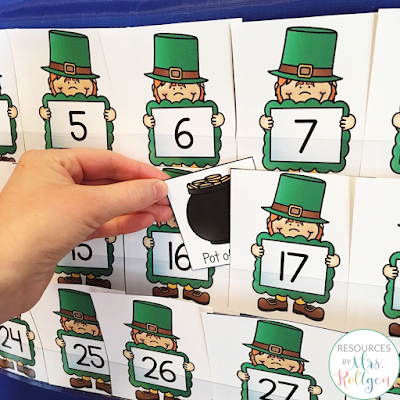 The students can play the game the same way; just have them spread the cards out on a table or the carpet, and they can take turns hiding the pot of gold and guessing! 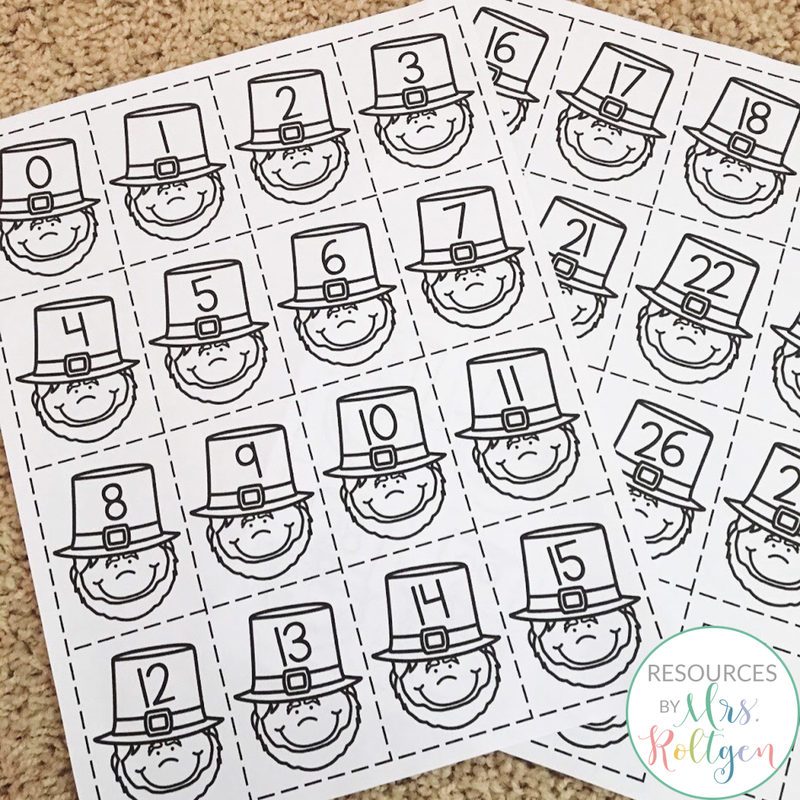 I hope you and your students enjoy this fun activity! Click on the cover image below to download. Ooooo! Love this! 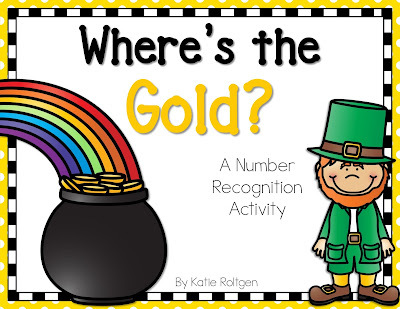 Totally going to play it this month with my Kindergarteners! Thank you so much for sharing!